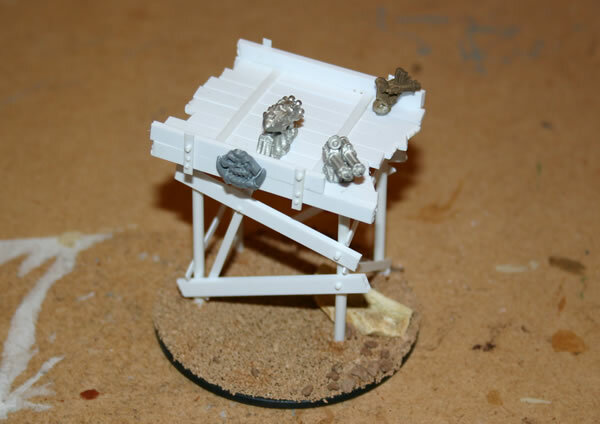 Well here is a picture of a work in progress of my Ork Watchtower, an objective for Epic Armageddon. 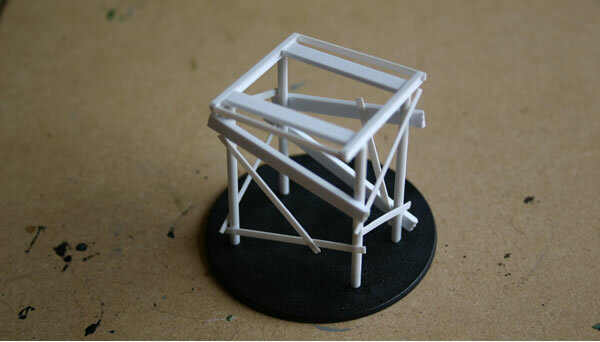 Made from plastic strut and using a 60mm base, I am aiming to achieve a Gorkamorka style tower. Still have to add the top bit and adding scenery to the base. Plastic strip was added to the top to make a base and then small slices of rod were stuck to the joints to look like bolts. Shield icons from the Orc Warhammer boxed were added as well. Small rocks were glued to the base before the whole thing was flocked with sand.